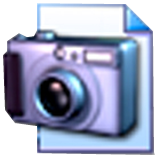 Auto Screenshot Maker is a screen capture tool for Windows users. In just a single click or hotkey press, you can make a perfect screenshot for a website, user manual, or a presentation. The tool captures full screen, active window, selected region – anything! The captured image can be saved to most popular formats, such as BMP, JPEG, PNG, or saved as Microsoft Word document, which is really nice if you are writing the “How-To” document.